Now in its 15th consecutive year, supplychainforesight is a Barloworld Logistics initiated survey that provides much-needed insight into supply chain operations and strategic issues that South African companies are faced with. The latest edition reviews the opinions of local business leaders regarding the adoption of sustainable business practices within the Supply Chain, and business in general, to create a snapshot of the state of green Supply Chains in South Africa. 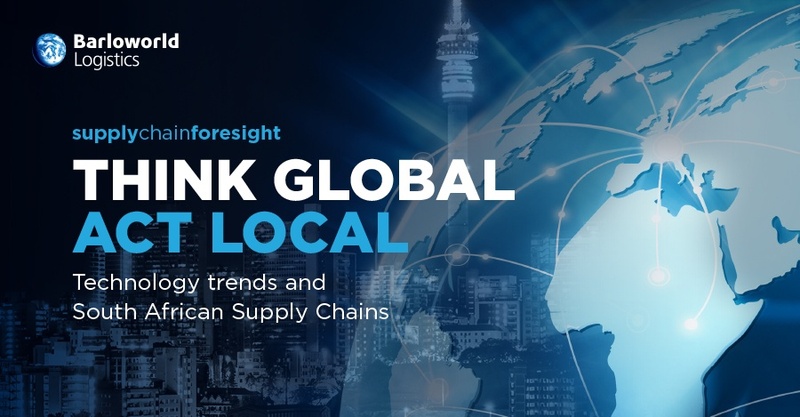 Now in its 12th consecutive year, supplychainforesight is a Barloworld Logistics initiated and sponsored survey that provides much needed insights into supply chain operations and strategic issues that South African companies are faced with. It takes a look at current and future business landscapes and goes on a journey of identifying what, and how, certain factor across the supply chain can and will impact business. It also educates local executives on the importance of supply chain management and how it should be viewed strategically to ensure business success. Recently Barloworld Logistics launched its benchmark supplychainforesight 2017 with a positive message that conveyed both optimism and excitement in the face of a rapidly changing world. The digitally stimulating event, held in March was designed to garner the insights and opinions of executives and managers from a wide range of local industries and sectors.